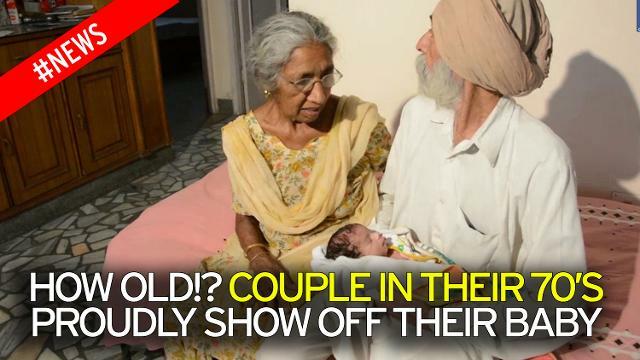 (P1) A 72-year-old woman in India is celebrating the birth of her first child. Daljinder Kaur posed for photos for the Indian press last week. She was proudly holding her healthy baby boy Arman. She had been trying to have a baby for decades. She was under a lot of pressure during that time to start a family. Most people would have accepted their fate and resigned themselves to a life without children, but Daljinder persisted with her dream. She started attending a fertility clinic for IVF treatment in 2013 and successfully became pregnant last year. (P2) Specialists initially had reservations about Daljinder because of her age. Dr. Anurag Bishnoi told reporters: “I first tried to avoid the case because she was very weak, but her medical reports were normal and she was fit to conceive.” He said his clinic had a good track record with older women. He added: “In Daljinder’s case, she looked visibly frail too, so I had to refer her to a cardiologist to get clearance for the procedure and for a battery of other tests.” Daljinder is over the moon. She said: “I can live happily now. My life is complete.” She is the oldest woman ever to give birth. Do you think it’s a good idea to have a baby at such an old age? Why or why not? Would you consider having a baby at such an old age? Why or why not? What are some of the pros and cons of having a baby at an older age, say over 50? What are you over the moon about? Why?